Positive, Normative, and … ? Am I the only one who feels unfulfilled by the standard distinction between positive and normative economics? I am gearing up to return to the classroom next week, to teach microeconomics to incoming masters students at the Georgetown Public Policy Institute. Anyone who’s experienced the first day of micro class knows what’s coming. After introducing myself and talking about the wonders of economics (which is, indeed, fun, useful, and enlightening), I will launch into the great positive vs. normative distinction. Positive is the science side of economics: understanding and predicting the behavior of individuals, firms, markets, economies, etc. In short, the part of economics in which we try to be physicists (or, sometimes, biologists). Normative is the side of economics where we make value judgments, identifying policies as good or bad. 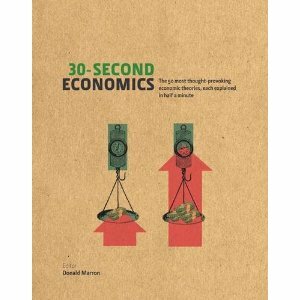 In short, the part of economics in which we try to be philosopher-kings. Both styles of economics are important, particularly in a public policy program. And drawing a careful distinction is vital, not least because of the many people in Washington (both economists and non-economists) who try to dress up their value judgments as science. I have one problem with this distinction, however: it overlooks a great deal of what economists actually do. These fifteen teachers, along with about six hundred others in six larger Rubber Rooms in the city’s five boroughs, have been accused of misconduct, such as hitting or molesting a student, or, in some cases, of incompetence, in a system that rarely calls anyone incompetent. The teachers have been in the Rubber Room for an average of about three years, doing the same thing every day—which is pretty much nothing at all. Watched over by two private security guards and two city Department of Education supervisors, they punch a time clock for the same hours that they would have kept at school—typically, eight-fifteen to three-fifteen. Like all teachers, they have the summer off. The city’s contract with their union, the United Federation of Teachers, requires that charges against them be heard by an arbitrator, and until the charges are resolved—the process is often endless—they will continue to draw their salaries and accrue pensions and other benefits. “You can never appreciate how irrational the system is until you’ve lived with it,” says Joel Klein, the city’s schools chancellor, who was appointed by Mayor Michael Bloomberg seven years ago. Neither the Mayor nor the chancellor is popular in the Rubber Room. “Before Bloomberg and Klein took over, there was no such thing as incompetence,” Brandi Scheiner, standing just under the Manhattan Rubber Room’s “Handle with Care” poster, said recently. Scheiner, who is fifty-six, talks with a raspy Queens accent. Suspended with pay from her job as an elementary-school teacher, she earns more than a hundred thousand dollars a year, and she is, she said, “entitled to every penny of it.” She has been in the Rubber Room for two years. Brill paints a picture of a stunningly costly and, frankly, stupid system for handling teachers who are accused of misconduct or incompetence. The magazine Wired regularly publishes some of the most interesting articles about economics and the modern world. Last month, for example, they had a great article about the antitrust threats looming over Google. The month before, it covered the economics of Somali pirates, which I never found time to write about. And the month before that, it discussed how Google, not eBay, is really the master of auctions. This month, Wired provides an in-depth look at craigslist. For those who don’t already know, craigslist is the place to post classified ads on the web. According to Wired, it is the world’s “most popular dating site,” “the most popular job-search site,” and “the nation’s largest apartment-hunting site.” Not to mention the myriad other things you can buy, sell, trade, give, receive, etc. on the site. Think of any Web feature that has become popular in the past 10 years: Chances are craigslist has considered it and rejected it. If you try to build a third-party application designed to make craigslist work better, the management will almost certainly throw up technical roadblocks to shut you down. As expected, the new budget projections from the Office of Management and Budget show an estimated deficit of $1.58 trillion in the current year (which ends on September 30). In their coverage of the dueling budget releases, many members of the media are noting that this estimate is almost identical to the $1.59 trillion estimate released by the Congressional Budget Office. Thus, it may appear that OMB and CBO reached similar conclusions about this year’s deficit. In other words, using identical accounting, CBO is projecting a deficit that is almost $200 billion less than projected by OMB. Lots of budget news this morning, with the release of the newest projections from the Office of Management and Budget and the Congressional Budget Office. The $787 billion economic stimulus package President Obama signed earlier this year is likely to cost “tens of billions of dollars” more than expected, helping to drive projections for next year’s budget deficit to $1.5 trillion, White House budget director Peter Orszag told reporters. The $900 billion estimate that Peter mentions is reported in this letter from former CBO Director Doug Holtz-Eakin to Republican House Leader John Boehner. The higher-than-expected unemployment rate has led CBO to raise its estimates of spending in 2009 for ARRA [i.e., stimulus] provisions that affect unemployment compensation (by $7 billion) and Medicaid (by $1 billion). In other words, the weaker economy has added $8 billion to stimulus spending in fiscal 2009 alone with, presumably, more to come in fiscal 2010. These developments further complicate the challenging task of tracking the stimulus. David Wessel of the Wall Street Journal reports that President Obama will re-appoint Ben Bernanke as Chairman of the Federal Reserve. P.S. Don’t let this good news distract you from the much-less-good economic news on Tuesday: CBO and OMB are releasing new budget projections that will show trillions upon trillions of coming deficits.